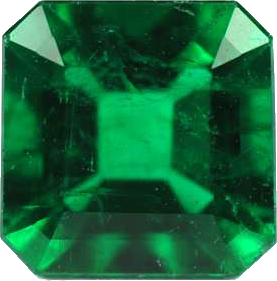 Emerald is found in light to deep green colors. This gem is compound of silicate of aluminum beryllium and oxygen. If we glare on the surface of this gem, it will give pleasant sight as well as soothing and cooling effect on eyes. It is very difficult to find a pure and clear Emerald because Emerald generally has black spots in it. In astrology, gem stones are recommended on the basis of placement of planets in a horoscope. Mercury denotes intellect, wisdom, mental capacity in terms of memory and speech etc. of an individual. Emerald governs this planet who is lord of two Signs namely Gemini and Virgo of the zodiac. Mercury is nearest to Sun emitting green color and is also considered ruler of trade, business and intellect. Negative Mercury causes lack of memory and reasoning power, problems in speech, lack of concentration and insomnia etc. If such Mercury has the aspect of malefic planets events like theft, fraud etc may take place frequently in the life of a native. In family relations, this signifies younger sisters. This planet also governs the common sense of a person. Powerful Mercury blesses the person with success in life due to his wisdom and intelligence. Emerald should be worn if Mercury is giving weak or malefic results in the chart. Emerald ensures confidence and enhances positive energy of Mercury. Will as well as analytic power is strengthened and the native gets success in competitive examinations. Relations with younger sisters are improved and the wearer gets co-operations from his co-borns. If Mercury is weak by placement in the chart or is in debilitated state or is in enemy sign, the desired results of Mercury as well as the house it denotes cannot be expected. The person lacks concentration and suffers from instability, depression and failures. He can also be a liar and cheat. Gems affect the subtle energy field of human being. (To understand subtle energy, see our article Theory of Subtle Energy). Our energy and thought process and accordingly the actions (karmas) are governed by this subtle energy. If malefic planets are posited with Mercury, or Mercury is placed in 6th, 8th or 12th house of a chart, Emerald should be worn. But finally before wearing this gem, the horoscope should be got analyzed by learned Astrologer. When Emerald is worn in a ring or in the form of pendent, the continuously vibrating power of Mercury is absorbed in the individual’s aura. Thus, the aura becomes more powerful to protect the individual from any obstacle caused through any external negative energy. The wearer gains concentration and feels energetic. Emerald is extremely beneficial for the students of Law and Commerce. Children with weak memory can also be benefitted by this gem. Emerald should be worn by businessmen, traders, accountants, writers and by those who have public contacts because this gem increases reasoning and logical power. It soothes eyesight also. Negative, malefic or weak Mercury denotes many diseases like asthma, insanity, mental disorder, epilepsy, weak mind, stomach problems, gastritis, pancreas diseases and insomnia etc By wearing emerald gemstone, a man can overcome these problems along with mental disorder, if any. Emerald may be embedded in Gold or Silver and ring should be worn on Wednesday morning (Shukla Paksha) after dipping the ring in Gangajal or un-boiled milk and energizing the Gem with the prescribed mantras. Emerald is considered a peaceful and soothing gem by nature.